Drone / noise with guitar and spoken words. 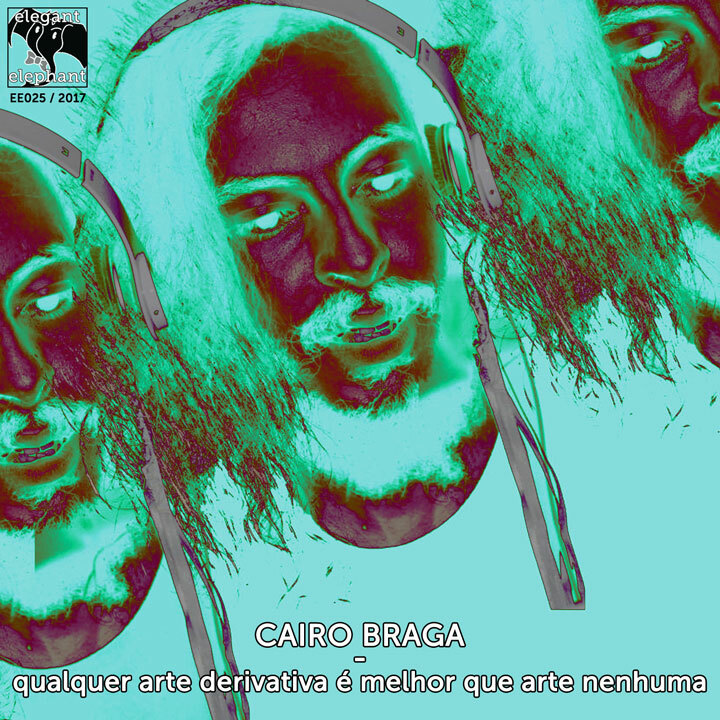 after her first attempt at an album-a-day in late 2016, Cairo Braga decided to revisit it and derive material from it, leading with an english version of the title track and following with a mashup and a bunch of instrumental mixes. what does it mean to derive art from crap art? let’s find out! this release is part of Netlabel Day 2017, go to netlabelday.com to listen and download from more than 100 free digital music releases. The release of Happy Singles by Basic Elements marks a couple of firsts for CerebralAudio: the first release from Basic Elements, and the first downtempo release on CerebralAudio. It’s also the second release available in 24bit FLAC encoding. Denny Wicker is an accountant who just moved to Scarsdale, New York. He thought he found a way to shut up his noisy neighbors but, with the help of eager Phil Laurie, he stumbled upon much more than that. Recorded in Berkeley, California and Portland, Oregon. Written by Dominic and Madeline Francisco. Breathe Compilations is a netlabel for eclectic tunes and graphics based in Mexico. Who said that «EMO ROCK IS DEAD» – need to listen it! «Effect Placebo» is debut EP album of Moscow music band «The Beautiful Day For Suicide». It’s really true #emo music, you can check it! Need to say that this band is literally new breath of #EMO #WAVE, because there are very small quantity of musicians, who can make this stuff. It’s first release of label “animata records”, and I think it’s not last. Take it in your iPod and May the Force be with you! pivotone are a Japanese music duo composed of Gnyonpix and Gaki(from Bakirinosu). Electric tracks by Gnyonpix and the singing voice of Gaki weave unique music. This work “lainy day” is characterized by a jaunty rhythm and a sense of floating. It expresses “whether or not being there” in the time before dawn.